Flexible and able to adapt her knowledge and experience to suit clients needs. Having spent fourteen years in the government sector, internal division reorganisation forced a career change and Mary returned to college to re-train. Having passed her exams including a teaching diploma, Mary then set up her own business in office services with the help of the Enterprise Allowance Scheme. Mary delivered training to evening college students and went on to deliver training programmes within international corporate companies. For several years Mary then worked as the main trainer for a local computer solutions company as well as her own clients. An introduction to a property company in London led her to develop an IT training programme for all staff. This included training in all Microsoft applications from basic to advanced level alongside several bespoke applications. 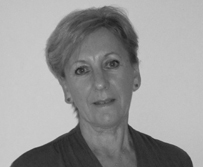 Mary went on to deliver training to many other international organisations and has a wealth of experience in delivering bespoke IT training solutions. Mary supports many charities, enjoys reading, going to the theatre. Mary is widely travelled and has visited many countries to observe wildlife in its natural habitat. She also enjoys aerobics, walking and entertaining friends and family.